Wheelchair access to the beach is provided at Tolovana Beach State Recreation Site. 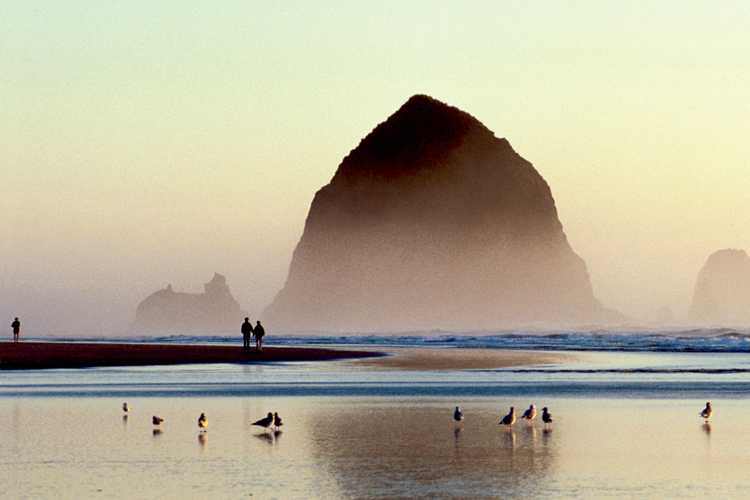 On the Oregon Coast a day at the beach will soon be fun for all in Cannon Beach. 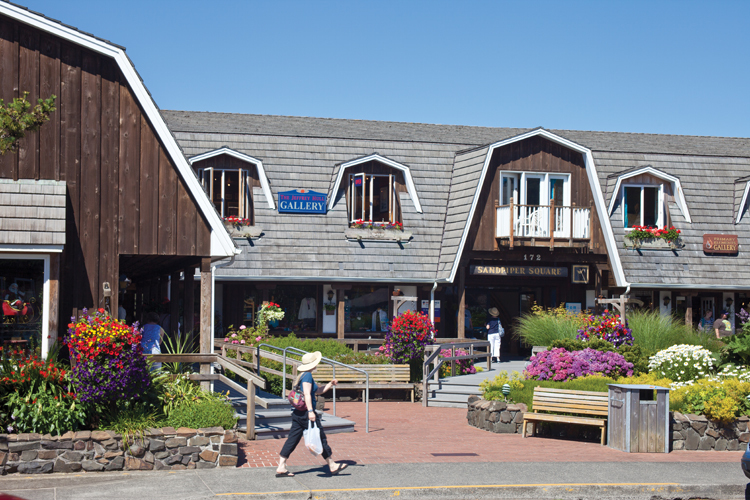 The Oregon Coast has long been known for its public beaches, but Cannon Beach is taking accessibility to the next level this October by initiating a program making beach wheelchairs available for visitors with mobility challenges.The Cannon Beach Police Department will facilitate the free check out and return process for the wheelchairs on the east side of the Cannon Beach City Hall building. Chairs may be reserved by calling (503) 436-2811 or emailing police@ci.cannon-beach.or.us. If needed, guests may also leave their existing wheelchair with the police department while using the beach wheelchair. 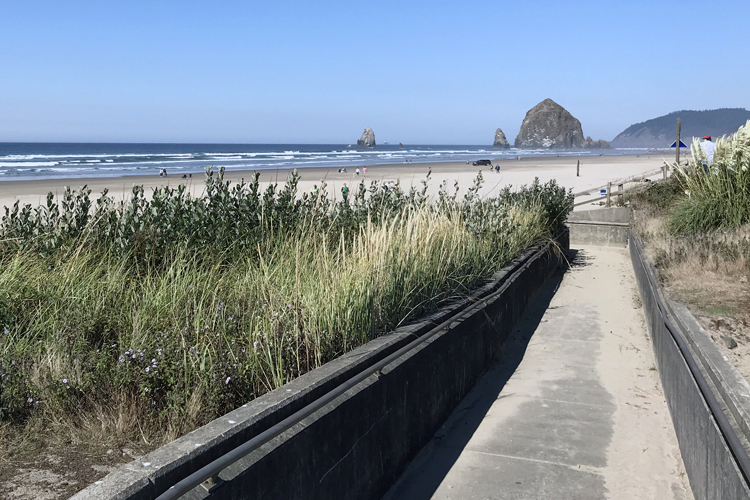 This program is a cooperative effort between the Cannon Beach Chamber of Commerce, Haystack Rock Awareness Program and City of Cannon Beach that was made possible by donations from several locals interested in accessibility for all to local natural areas. 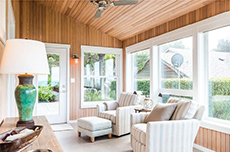 Alaina Giguiere of RE/MAX Coastal Advantage; Ryan Snyder, president of Martin North; and Cannon Beach Chamber Director Court Carrier and his wife Kathy all contributed to get the program started with its first chair. Additional donations have recently made it possible to order a second chair and contributions are being accepted to not only fund future chairs, but to also obtain interchangeable cushioning to make the chairs an option for children. A goal of the beach wheelchair program is to ensure that all kids can participate in educational opportunities presented by the Haystack Rock Awareness Program. 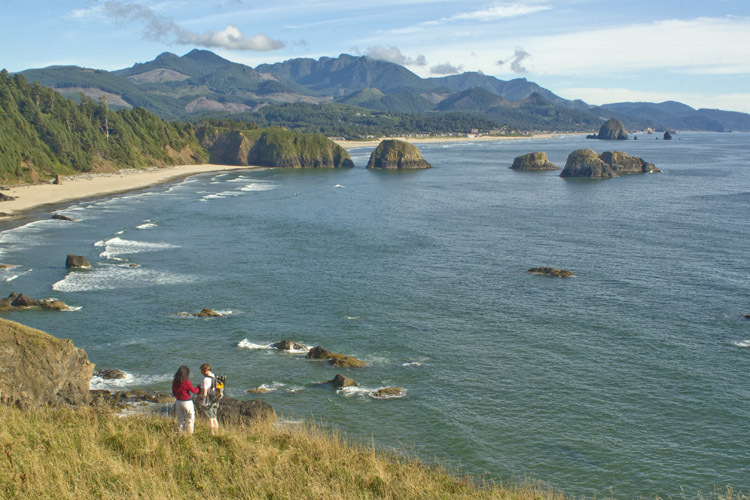 Pooka Rice, Outreach Coordinator with HRAP says the area around Haystack Rock where their programs are offered, "is a classroom unlike any other and yet there is a section of our population we see perpetually excluded." The wheelchair program "will simultaneously address the needs of our aging community as well as the school students who have historically been left out of the experience of participation in fieldtrips to Haystack Rock." Fundraising is currently underway for additional wheelchairs, the interchangeable cushioning and future self-checkout lockers to be located at the Gower Street and Tolovana Wayside beach access points. Anyone interested in donating may contact the Haystack Rock Awareness Program at (503) 436-8060 or the Cannon Beach Chamber of Commerce at (503) 436-2623.